Holy cow! It’s Labor Day weekend! Donnnnnnnnnn’t go, summer!!!!!!!!!!! Man. What’s next? Halloween? Thanksgiving?? 2014??? I am not ready, y’all. I wish we could slow it all down and relish each moment a little bit longer. But, I supposed life isn’t gonna slow down for me or you any time soon. Here’s what I’ve been chewing on lately…. 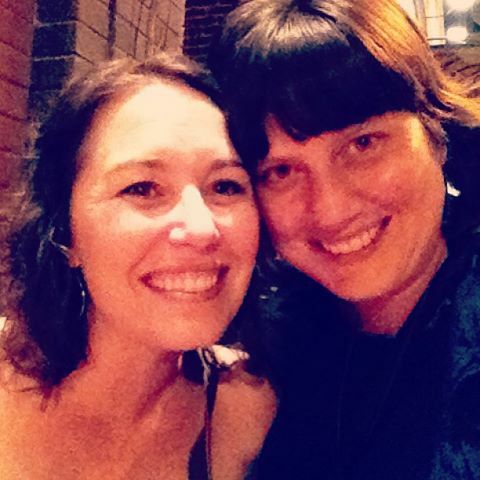 I have spent the past eight days reconnecting with many of my closest friends. Yeeehaaa!!! As an extrovert, I very literally recharge my batteries and gain energy by interacting with people. When I was a school teacher, I was surrounded by women and children constantly, and I soaked up that powerful force of humanity like a giant sponge. These days, however, I work by myself almost every day planning, shopping, and cooking for my clients. My trip to the DeKalb Farmer’s Market tends to be the shiniest moment of my work day (until I deliver edible happiness to my people), since I’m able to chat with folks I know, trade a hug or two, and exchange lots of smiles. I truly enjoy the cooking part as well of course, but the being lonely part is tough for a girl like me. Life is busy for all of us and it proves to be more and more tricky to keep up with friends and family the older we get. You know the laundry list of reasons that makes it complicated to get together with even your favorite folks very often in this land of adulthood. But, as an extrovert, I start to feel low, sad, yucky- estranged even- from my friends when I don’t talk to them for more than a couple weeks. It’s a seriously visceral feeling. I don’t ever want to be viewed as “needy”, and I try to always give my pals the space they need to sift though life, knowing in my heart of hearts that whenever we meet again, it will be like no time has passed. When that reconnection finally happens, I want to know everything. (FYI, my mom and my friend Liz feel exactly the same way.) I want to know specifics about how the wedding plans are coming along. I want to know how your baby is growing inside of you. I want to know how you’re planning the nursery. What options are you considering for child care? How’s work? How’s the dog? How’s your gall bladder? How’s your mom? How has the beginning of the school year kicked off for your kid? How are you feeling about teaching in a new classroom? How early are you waking up to start working on the farm? What do you eat for breakfast these days? Have you tried out any new restaurants lately? What trashy TV shows are you obsessed with right now? I think you catch my drift. I’m constantly trying to evolve and understand myself and the world better. And I think that the reason I want to know all of this information about my dear ones, is that it helps me to be able to visualize them on their paths, in their happy places, or in situations where they are struggling. It gives me the ability to send them the energy that they might be needing, or to spot something in a store or online that might help my friend smile or get closer to a goal of theirs. So this integral part of who I am hinges on other people. Whoa. This is heavy, but true. I bet those introverts out there think they’ve got it much harder in this world, but I think both kinds of “verts” have our own hoops to jump through in order to feel settled and and peaceful within. The happy news is that I am feeling full!!!!!! I’ve gotten to spend QT with people (mostly women, oddly enough) that I love and admire over a cup of tea, a locally crafted hoppy beer, a delicious and inspired breakfast, a spicy Indian lunch, a laughing-crying-laughing child, and over this juicy, monster of a turkey burger with a fresh, crisp, satisfying salad. Lucky for me, I have more catching up on the docket for the weekend in the form of a special wedding shower and a birthday party. Hopefully, this Labor Day weekend, you will surround yourself with those you love and get the opportunity to reconnect, recharge, and refocus your energies too. (Unless you’re an introvert, then I hope you can have a nice, quiet weekend!) Maybe you’ll be making some burgers while you’re maxin’ and relaxin’ on Monday! So, here you are, my friends, a burger that’s a little different, easy, and healthy to boot along with a side dish that’s simple and allows you to utilize summer’s stellar ingredients like these that I nabbed from Mountain Earth Farms at the Decatur Farmers Market. 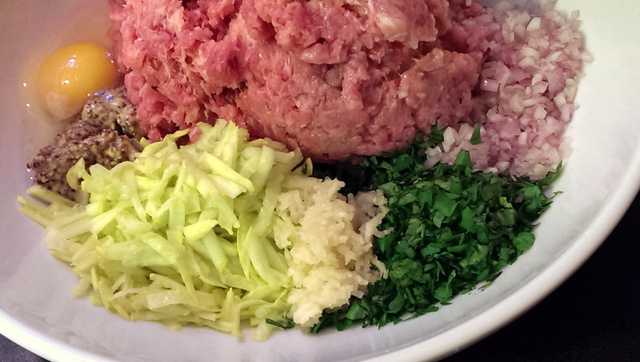 Combine ingredients in a large bowl, and use your hands to integrate the ingredients into the meat without over-working the mixture. Then, I always like to cook up a little tester to make sure my seasoning is right. 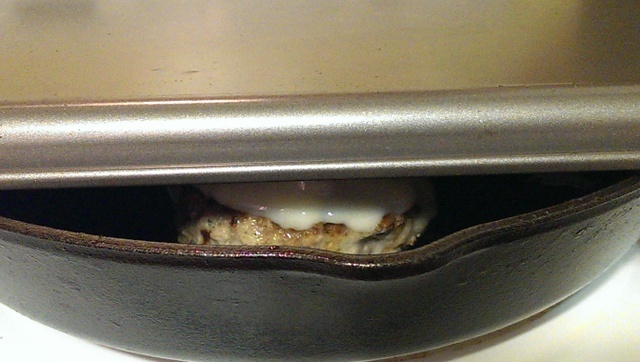 So, you can make a little tester patty if you so choose, and cook it in a small pan over medium heat until the internal temperature reaches 165°. Taste your tester and make any adjustments to the turkey mixture that you like to improve the flavor. My tester was perfecto. Next, score the turkey mixture into as many sections as you plan to make into burgers. 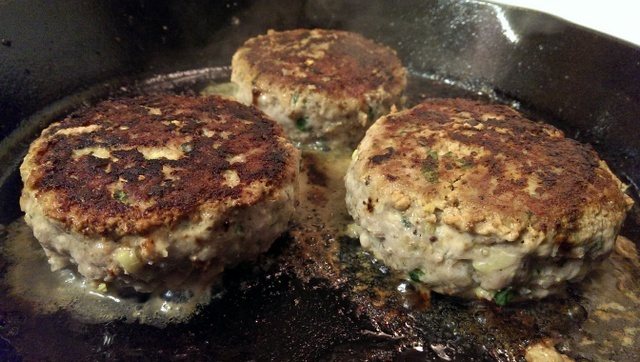 I formed 5 big ole burger patties. You could definitely make 6 patties or even more slider-sized patties. I put my turkey burgers in the fridge until I was ready to cook them up (when Adam got home and my girlfriend came over) and made my salad next. You could certainly make the salad first and let it chill while you create your burgers. Either way works! 3 or 4 cloves garlic, peeled- I used 4. Place ingredients in the cup of an immersion blender or in a food processor. Pulse to combine ingredients. Then, slowly drizzle in olive oil as you blend. Continue to drizzle and blend until you hear/ see/ feel the dressing tighten up and emulsify. Stop and taste your dressing. Adjust seasoning/ level of sweetness to your liking. Mine was pretty tangy. 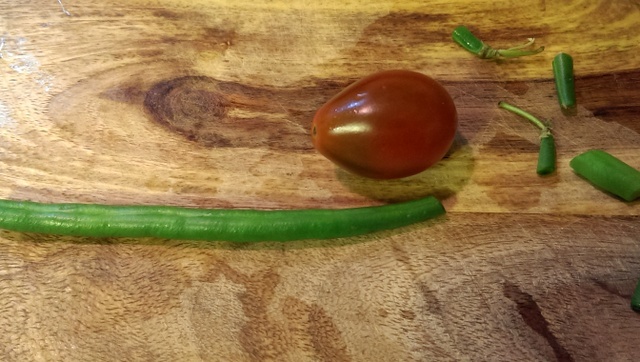 I used one of grape tomatoes as a guide to decide how small to cut my green bean segments. I wanted them to be about the same size as the tomatoes. Bring a medium pot of water to a boil, and salt the water once it’s boiling. 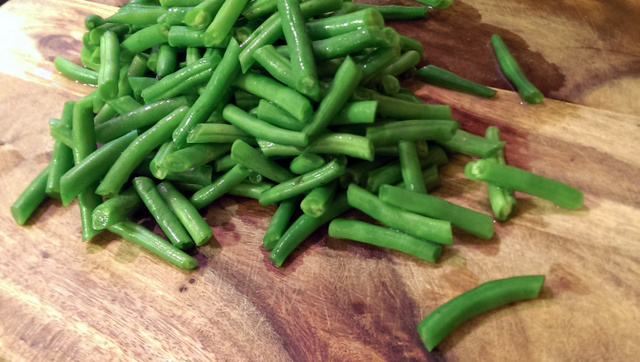 Cut your beans while the water comes to a boil. 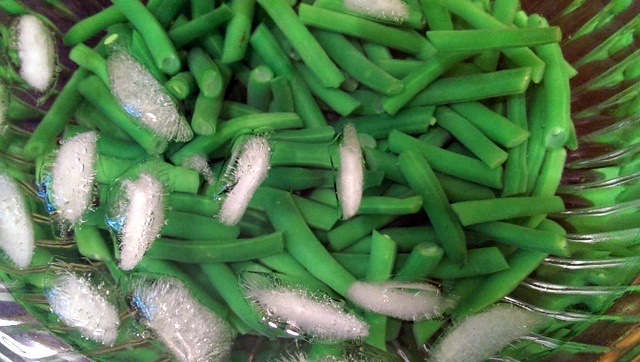 Blanch your green beans for just 3 minutes and then transfer the beans to a bowl of ice and water. 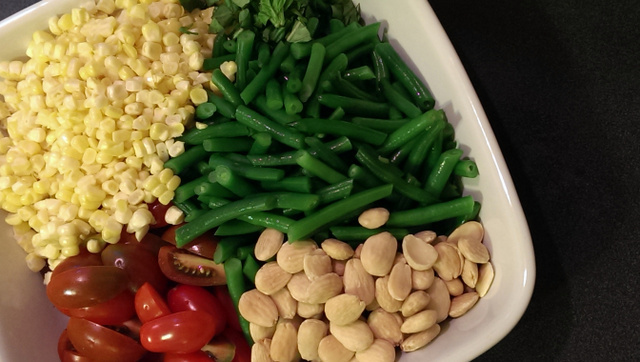 This helps to retain the bright green color and to stop the cooking process so the beans will remain crisp. 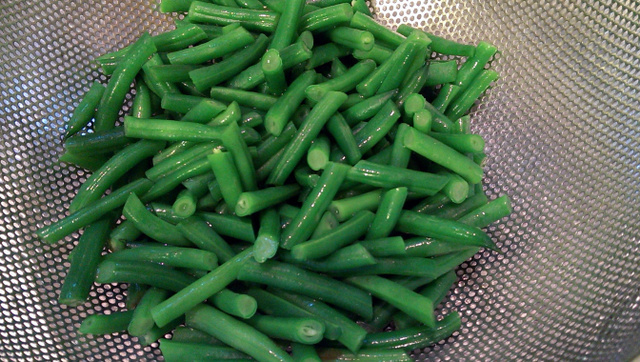 Once cooled, drain your beans in a colander and then dry them off with a clean kitchen towel. If they’re too wet, the dressing won’t stick very well. 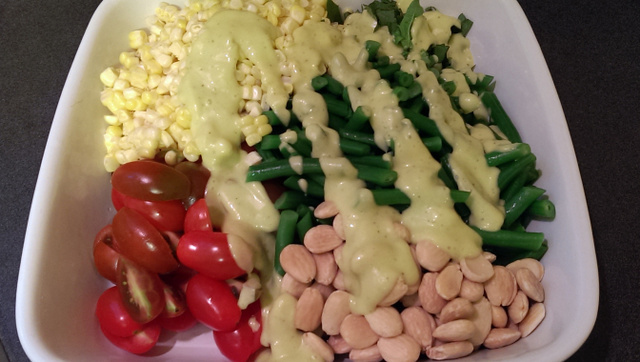 Place salad ingredients into a bowl and drizzle them with your dressing. Toss to coat and then taste. Alrighty! Time to cook up those burgers. We used a cast iron skillet with a good drizzle of canola oil in the bottom. You can also use a nonstick skillet or you could grill these guys on a well-oiled hot grill. 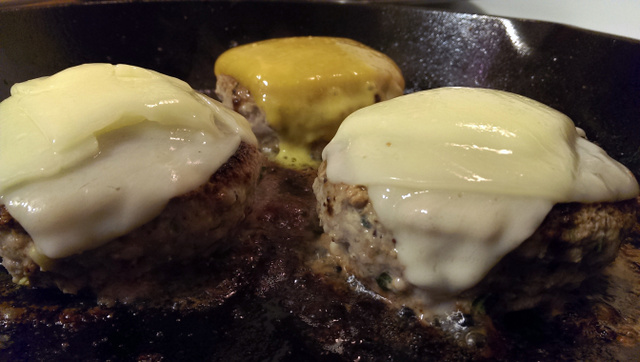 We heated our cast iron skillet to medium heat and added the burgers to the pan. They take about 7 – 8 minutes per side, which is why I like to cook them over moderate heat rather than burning the outsides before the insides are cooked through. 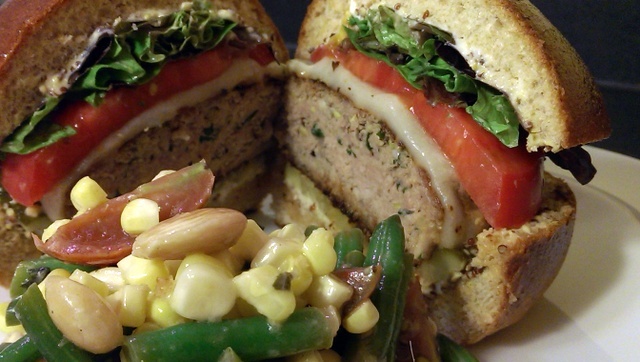 After about 5 minutes on the second side, top the burgers with the cheese of your choice. We topped some with provolone and some with cheddar. or tent a piece of foil loosely over the pan. 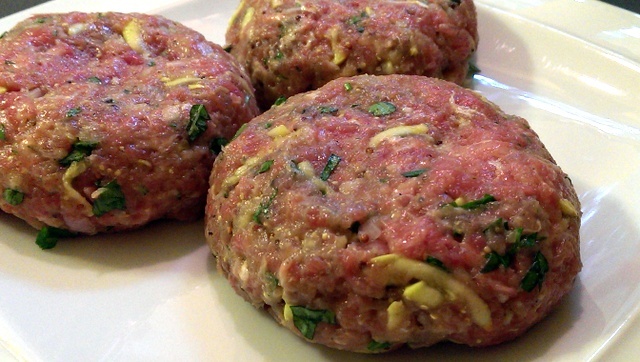 Cook until each burger reaches an internal temperature of 165° in the middle. 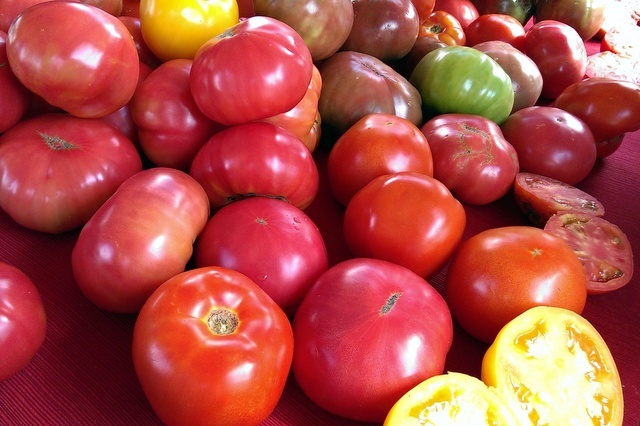 While the burgers cook, get your fixins ready! 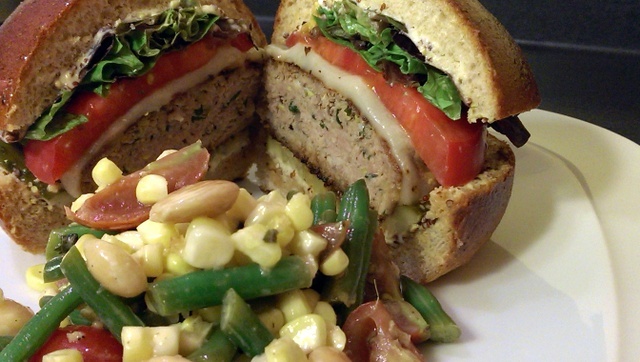 I like to scoop the insides out of my whole wheat burger buns to make a hollowed out nook for my burger. I think too much bread on my bun just pushes out the burger and toppings, and I like more burger and fixins than bun. Anyway, make your burger set-up however you prefer. I slathered some mayo and whole grain mustard on each side, topped with a couple of kosher dill pickle slices (Claussen is my fave) on the bottom half. The top half got some mixed greens and two slices of gorgeous local tomatoes. Grab a few napkins, because it’s gonna be juicy!!!!!!!!!!!!!! 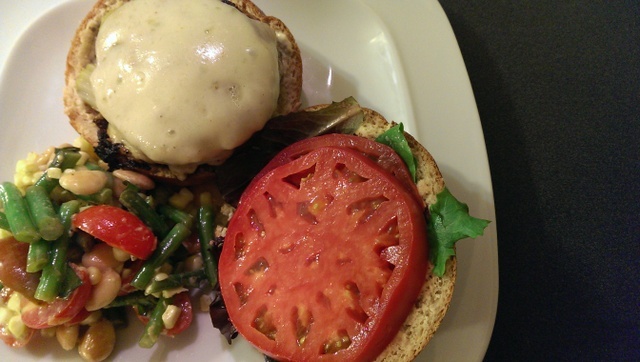 Serve your burger alongside a heap of your fresh salad and go to town. Yummalicious!!!!! 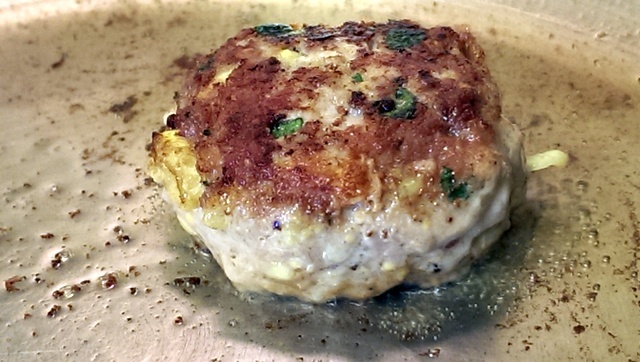 The shredded squash and egg help to make these burgers super moist, and the flavor was outstanding, in my humble opinion. The herbs, mustard, shallots and garlic go a long way to create powerful tastiness. I loved the sharpness of the creamy provolone as well. 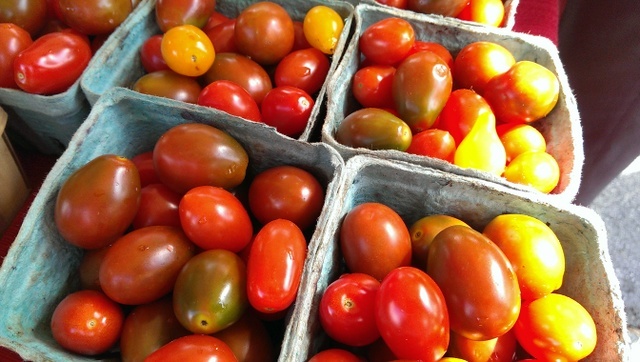 The tomato was summertime perfection. These burgers even reheated really well- a testament to the moisture that was achieved, which is not always so easy with ground turkey. I totally enjoyed the salad. The beans were crisp and exploded with the refreshing water that lives inside of them. 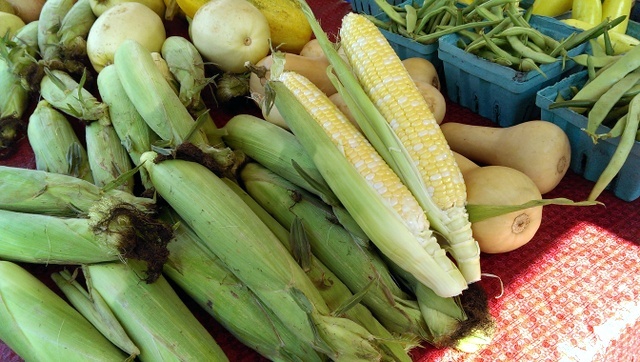 The corn was sweet and tender- no cooking needed at all. 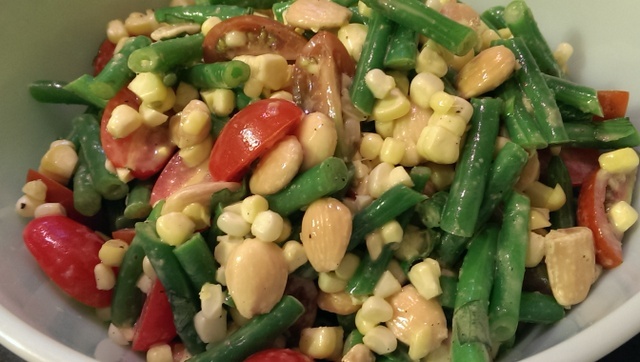 The tomatoes were sweet and tangy, and the marcona almonds brought a definite richness to the dish along with nuttiness and crunch that added to the salad-eating experience as a whole. 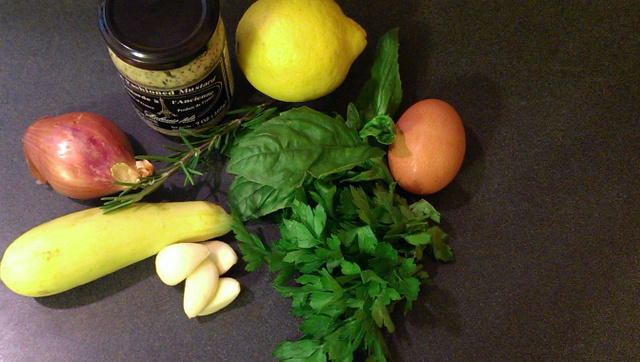 The pop of basil and the garlic-y tang from the dressing brought it all together. The most wonderful part of this meal (aside from the delicious factor) is that you can create it super quickly. 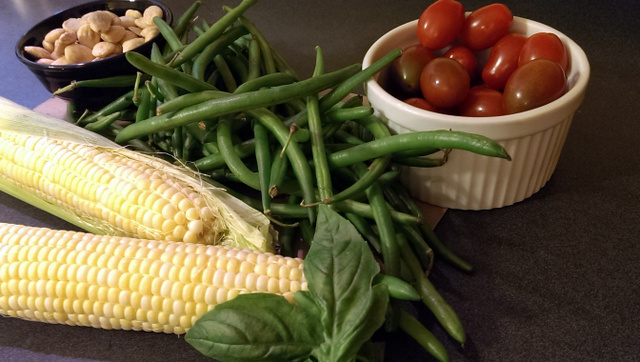 It’s as if Mother Nature knows that it’s too hot outside to be cooking for extended periods of time, so she provides us with veggies and fruits that either can be eaten raw or cooked up in a snap. Fab-u-lous. I hope you enjoy every single second of your holiday weekend with friends, family, fun, and yummy food.